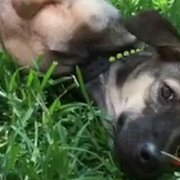 Her tail started wagging as soon as she saw him. When Lyle Muskat and his family decided to adopt a second dog, they had one specific requirement in mind: They wanted a dog who had a very low chance of getting adopted. The Muskat family, who are based in Toronto, learned about Free Korean Dogs, an organization that rescues dogs from meat farms in South Korea and transports them to new homes in North America. Muskat started corresponding with Ek Park, the organization’s founder, about possibly adopting a dog — and Park told Muskat about the plight of larger dogs rescued from the meat farms. 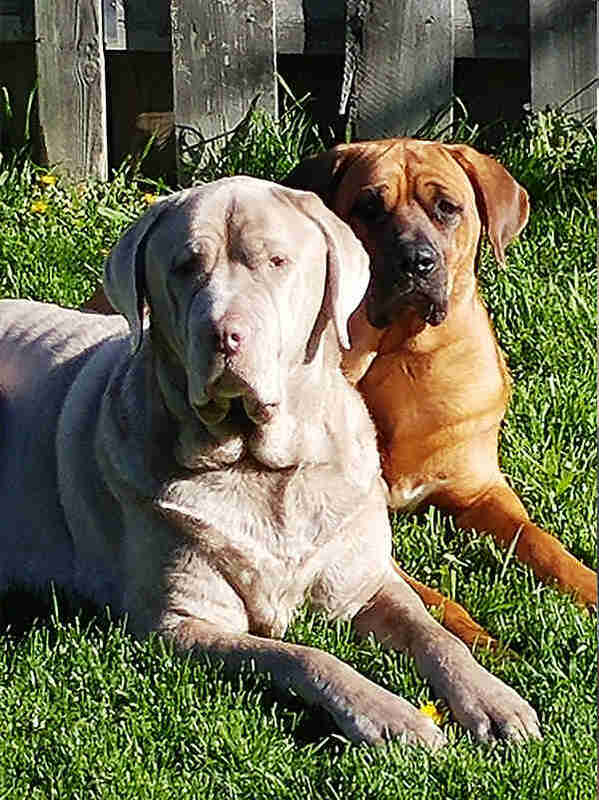 The Muskat family’s search led them to Gucci, a 1-year-old Korean mastiff who was one of 55 dogs rescued from a meat farm in Namyangju, Korea, in 2016. 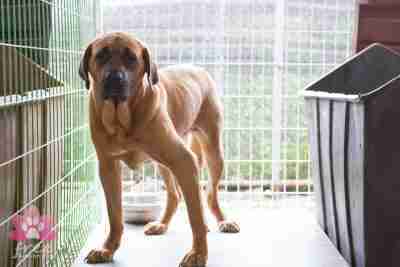 Korean mastiffs are common dogs at meat farms due to their large body size, but they’re not desirable pets in South Korea. So while most of the smaller dogs rescued with her had already adopted, Gucci had been living at the shelter for over 5 months. On top of everything else, Gucci had a broken leg that healed in a funny way, which left her limping. But when Gucci finally arrived at the Toronto airport, she was terrified of everything and everyone. 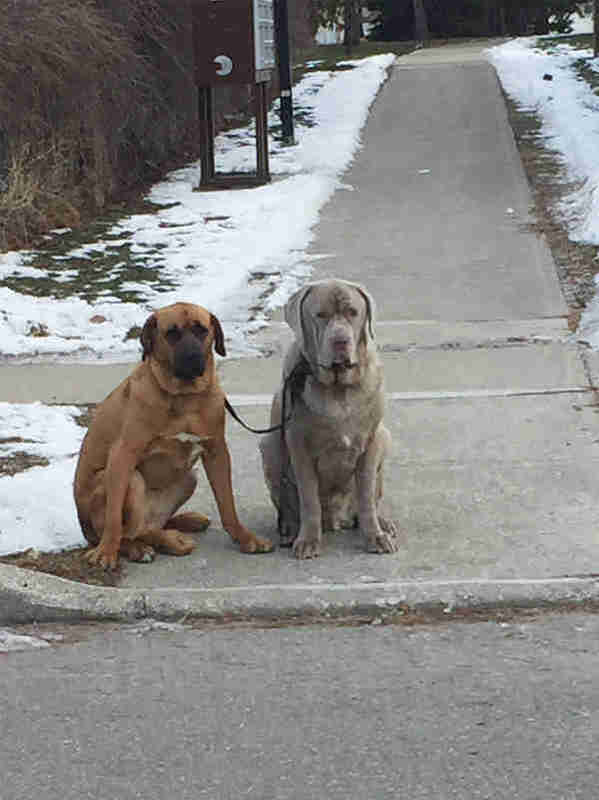 By chance, Muskat had brought along his other rescue dog Charley, another mastiff, and he wondered if Charley would help Gucci feel more comfortable. But getting Gucci out of the crate was just the first step. It was difficult to get a leash on Gucci, and to get her into the car. 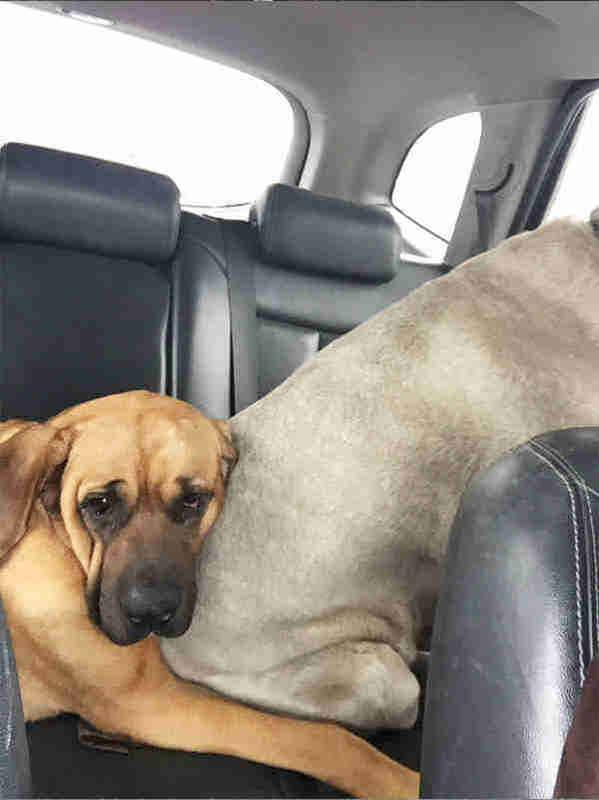 And once she arrived at her new home, Muskat and his family couldn’t figure out how to make her feel comfortable. 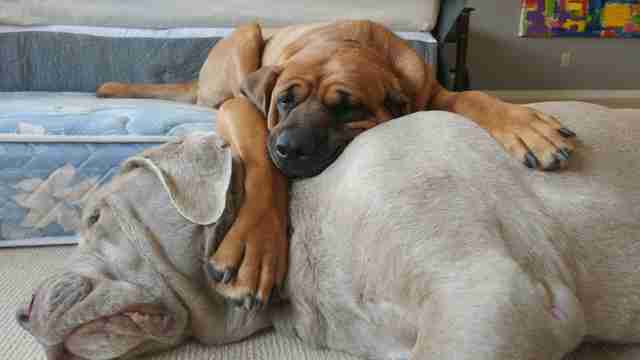 Gucci was even afraid of Charley at first, despite having wagged her tail at him at the airport. Whenever Charley would approach her, Gucci growled. But Charley was patient with Gucci, giving her the space she needed — and Charley’s patience paid off. From that moment on, Gucci wanted to be with Charley all the time. Seeing how closely connected the dogs had become, Muskat realized Charley could help Gucci learn to walk on a leash. “I would tie the leash to Charley, and Charley would listen to my commands, and she’d [Gucci] just be pulled along, and learn what it’s like to heel,” Muskat said. 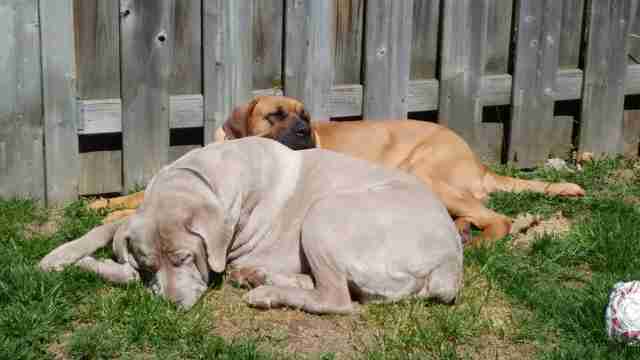 And when it was nap time, Gucci couldn’t get close enough to Charley. Now, nearly a year later, Gucci is a different dog — she’s confident, affectionate and playful, all thanks to Charley. While Gucci found the perfect forever family, Free Korean Dogs rescues many other dogs who need loving homes. 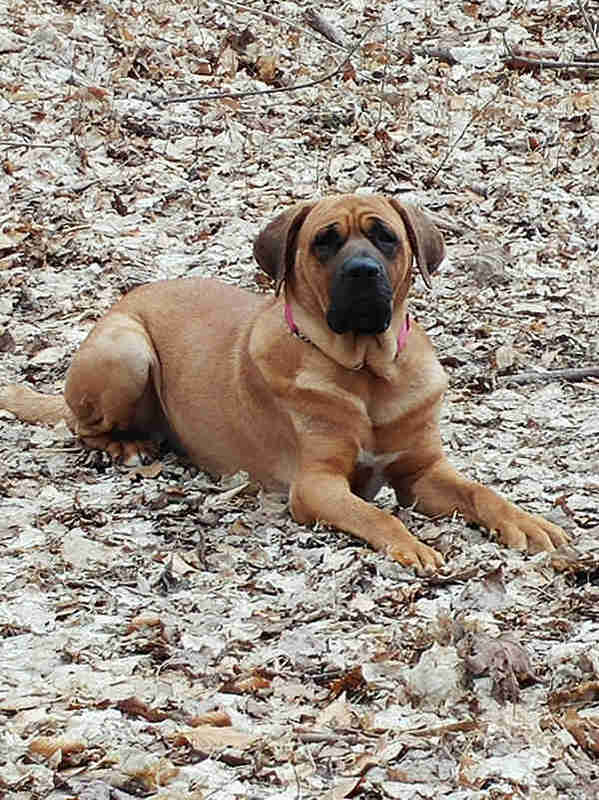 In fact, the organization is currently looking for a home for Bella, another Korean mastiff rescued from the same meat farm as Gucci. 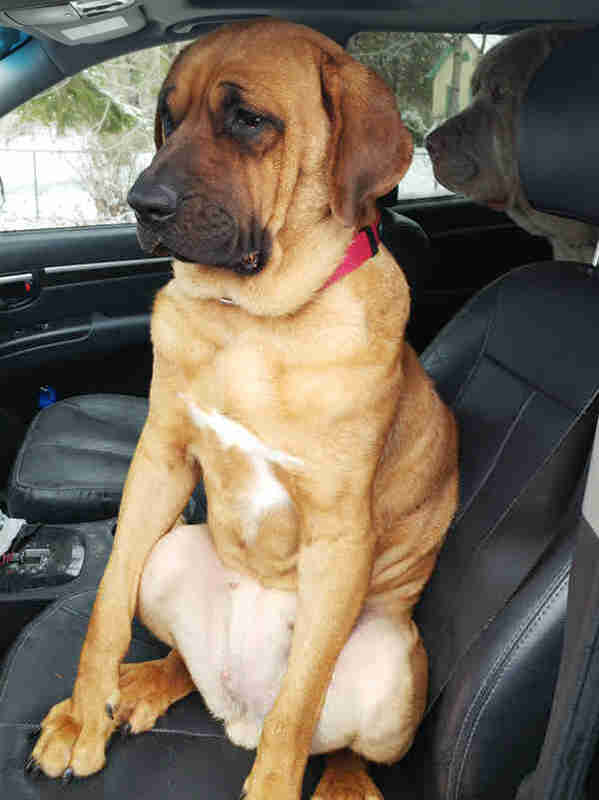 If you’re interested in adopting Bella or another dog, contact Free Korean Dogs. You can also help the organization rescue more dogs like Gucci by making a donation.